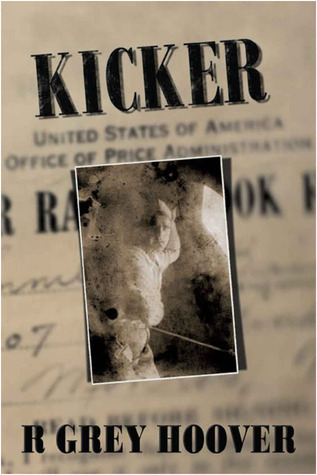 “Kicker” by R. Grey Hoover is an extraordinary read about air force life in Burma during WWII. It focuses on Sam Huber (and his wife Eleanor home in Pennsylvania) from his first days of training through his various stops on the way to armed conflict in Burma. Sam and his friends illustrate the regular soldier’s life, not just the super heroes as featured in Hollywood films about the time. They have embarrassing moments during the physical exams, they run out of petrol and have a huge variety of close calls and successes, too. It made them much more realistic and likeable. The story is not just limited to Burma; Sam stops in Africa and India on the way and with him we also get to know a lot about the situation for soldiers in these areas. With much research and an amazing amount of factual knowledge about flying, aircraft technology and weather conditions as perceived by air force personnel this book is packed with amazing information and moving insight and worth reading for many reasons. Based on the actual experiences of American soldiers during World War II, KICKER features the lives of those who fought in the China, Burma and India Theatre, also known as CBI. Written by R Grey Hoover, this book showcases one of the most unheard of forces that fought in conjunction with British and Chinese Allied air and land forces during the Second World War. Compelling, insightful and moving, this book tells the story of a family caught in the throes of war. It pays tribute to the bravery of a family with a 165 year tradition of service to their country. It reenacts the understated heroism of valiant men who were sent off fourteen thousand miles from their homeland to battle all the harsh elements of nature and the life-threatening attacks of hostile enemy forces. In the hopes of reminiscing his father’s life in the military, Grey writes this historical novel to bring to light the significant efforts of war veterans whose struggles may not have been recognized by many. Little is known about the CBI Theatre. This was even referred to as the Forgotten Front due mainly to the fact that the men who fought in this zone had received very little amount of supplies and support from the government. The soldiers did not have enough provisions and had limited supply of rations. A man named Sam Huber was a part of this group. 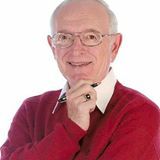 In his son’s effort to bring to life his father’s accomplishments not only as a soldier, but also as a family man, Sam’s story is told in this powerful work that will inevitably stir readers.